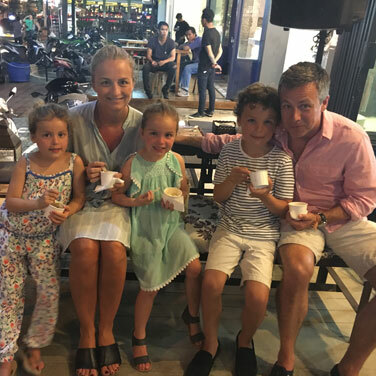 Our Bali Family Guide will hopefully point you in right direction to create some excellent holiday memories. Bali is diverse, there are always new attractions popping up and so much to choose from. We have selected our personal family favourites to include in this guide. Place where adults and children all can have a great time. When you check into your Bali Family Villa, We will provide a printed version complete with phone numbers and addresses. 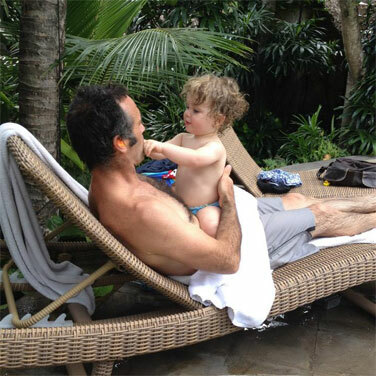 From the pool and the beach to zoo and waterpark…. 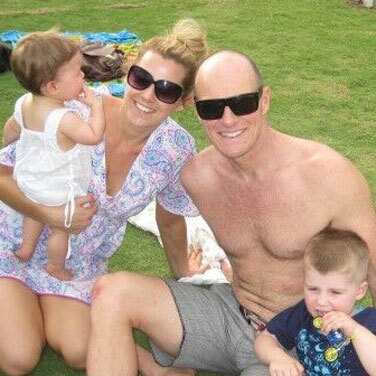 Bali loves families! Our service goes far beyond an online enquiry. We’ll get you Bali-bound with confidence. If you have any questions about choosing the perfect villa – at the best price for you & your tribe, we’re here to help. Call us on +61(0)413 940 666 or send a question below. WHAT OTHER SAYS ABOUT US? So impressed with the service and the extra personal touches like the box of toys for my two year old son, complimentary driver, and little gifts from the Bali Family villas team. We were so well looked after by everyone - from lovely Moka who cooked us breakfast every morning and cleaned our rooms everyday to friendly Agus who helped with everything from getting dinner to removal of a wandering bee. The villa itself is immaculate!. The glass doors at Villa Luna are such a beautiful touch, making the rooms feel open and spacious whilst allowing the comfort of air-con and safety from mosquitos and toddlers running amok into the pool. We will definitely come back - hopefully soon! Everyone is blown away by the villa and it’s going to make the perfect setting for tomorrows Wedding. The extra touches like toys and high chair for the kids are greatly appreciated. Thanks for your assistance in selecting the villa also. Thanks too for the extra time given to arrange the many transfers, and appreciate you going the extra steps to make everything go smoothly. Thank you so much for all of your help arranging this villa for us. We had the most amazing time. To start with, the villa is pristine. Big enough to accomodate 3 families including 6 kids comfortably. The pool and tennis court provided hours of fun for all. It was the staff that really made our holiday so relaxing. 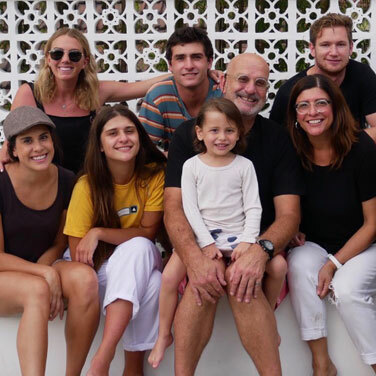 They were so accommodating and friendly - nothing was too difficult for them from cooking delicious food to our requests to organising yoga and massages in the villa. We have only just left and are already organising our next visit! Thanks for having us! A wonderful stay in May 2018. We are a family group of 8, and this included 2 children a 3yo and 12 month old. The communication during and after booking was faultless, transport worked without any hitches. The staff were superb. The villa was ideal for our needs and the fully fence pool to Australian standards, which was extremely important with young children in our group. Highly recommended. 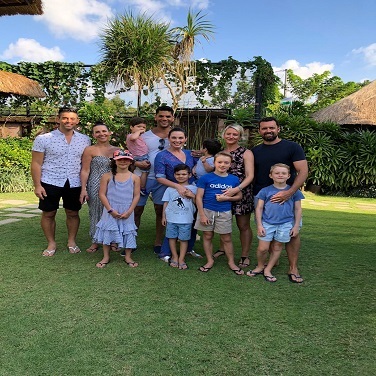 Thank you to Bali Family Villas for all the co ordination required for a great holiday. I must say the driver that you arranged for us was super fantastic and I couldn’t recommend him more highly. 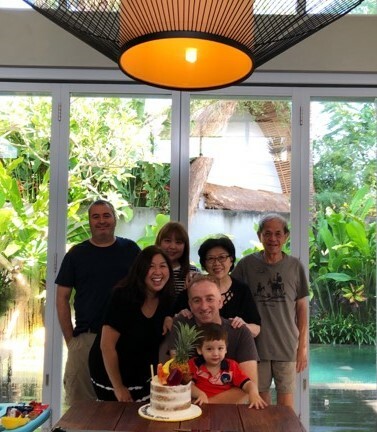 It was a fantastic way to celebrate my milestone Birthday with three generations! 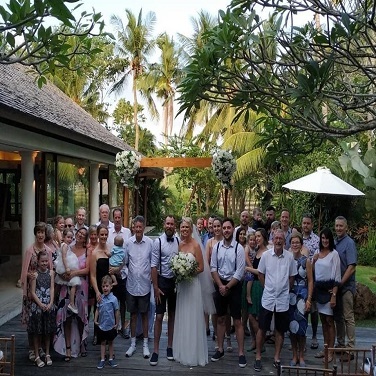 Emily, Justin and the Bali FamilyVillas team have helped us now on a few occasions to find the villas to suit our needs. 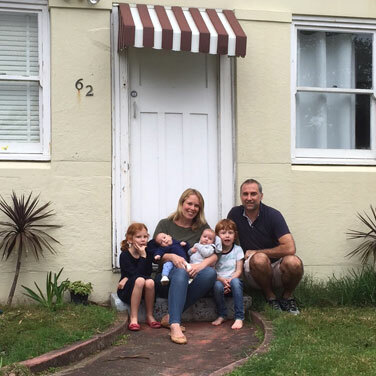 The first time it was for a group of 3 families, all with young children. The villa was in the heart of Seminyak with a huge grassed area for the kids to play in. They organized pool fences to be installed and suggested nannies so we could get some down time. It was so much morerelaxing! We returned the next year with another family, each of uswith 2 rowdy boys. Emily's description was perfect apt of the villa. The staff at each villa have been exceptional. Nothing is too much trouble and the food has always been delicious. I've been lucky enough to have some cooking classes with the chefs so that I can learn traditional Indonesian cuisine. We stayed with Bali Family Villas in 2016 and again in 2017 as we loved it so much. The staff were so kind and helpful and eager to please. The villas were better than the photos and in great condition. We’ll book with them again as they tick all our holiday boxes, especially with kids. 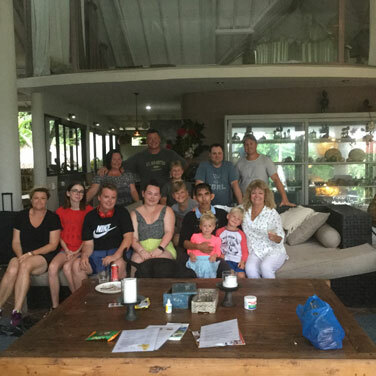 We have stayed with Bali Family Villas with our son as well as with our extended family for Christmas. They were so helpful with the baby equipment and helped us choose a Villa that was great for my parents to have their own privacy and for us to all enjoy time together also. We just came back from another Villa holiday with a group of friends. Travelling with a large group was easy with your help. Thanks to your driver also who was so helpful and drove us to many amazing venues. We hope to be back soon. We wanted to say a big thank you to the Bali Family Villas team. The Villa was ideal, the cooking was incredible and the kids had such a fun time. We are really glad we tried Canggu at your suggestion. Thanks for arranging the pool fence and the bike tour. It was a real highlight. 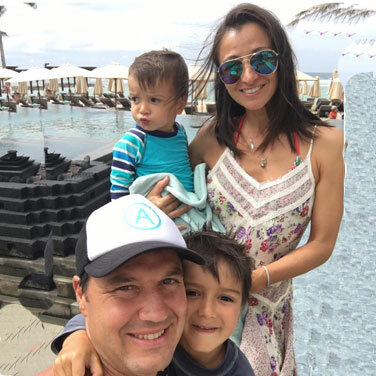 This was our first overseas holiday with two children. Thanks so much for arranging the car seats and the baby cot for Sophie. The toys were such a great surprise and the kids adored the nanny. I don’t know how we will ever settle back in now we are home! Thanks so much to you and your team, everything was amazing and we had an unforgettable holiday. We miss the Villa already. Thanks for finding the perfect villa and area for our family holiday. The villa accommodated to our varying needs and included glorious summer days of sitting by the pool and endless uses of the in house spa, excellent food and staff made for a blissful, relaxing and very happy family gathering/holiday. The layout of the villa is exceptional with many different ‘zones' for all ages. The area suited the surfers of the family, beaches and restaurants close by. 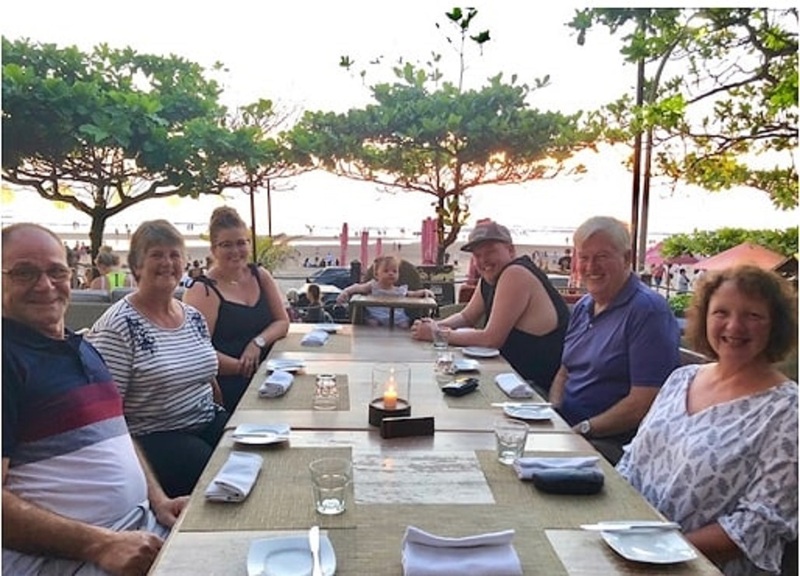 The team at Bali Family Villas knew our ‘needs and wants’ and ensured we had the perfect holiday. Thank you Team, we will be booking again. 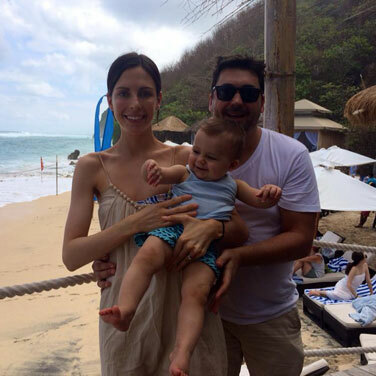 We had the most relaxing and wonderful Bali holiday with extended family, thanks to Bali family villas. We were travelling with 3 generations, including baby twins, and finding the right fit villa in a good location was paramount. I had many qustions and a long list of wants, and Emily assisted us in finding the best possible villa. 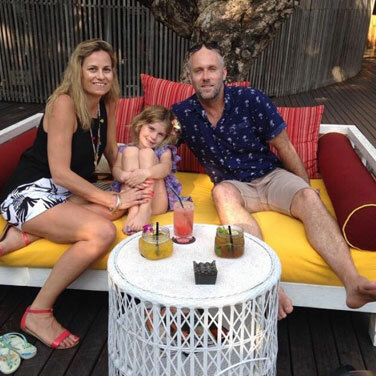 She's easy to talk to, happy to assist and her knowledge of Bali is extensive. It was invaluable to have her expert advice regarding the villa layout as well as location. And all little details are being taken care of: having transfers with car seats organised, travel cots provided and toys already there as we arrived made everything so much easier. Really a 5 star service for stressed parents. We will be back for sure! We have booked with Bali Family Villas several times, both with extended Family and with a big group of friends. Knowing that the driver will be waiting at the airport and having people we can call if need be is a huge plus when travelling with the kids! All of the Villas we have stayed in have been well thought out for the group and with amazing service. They arrange for the pool fence to be installed and ready to go and provide fun extras like oversized pool toys and a toy basket for the little ones. They even organise a grocery shop so the kids have their staples ready to go when we check in and help with restaurant reservations for parents night out. We adore their recommended babysitters too. They seem to have thought of everything.